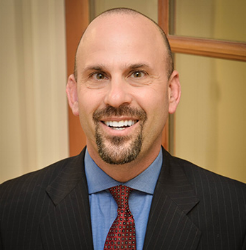 Daniel Bornstein, Esq., Founder of Bornstein Law, has been practicing law for 23 years, handling real estate and civil litigation-related disputes. He is also a broker and Founding Partner of Bay Property Group, one of the Bay Area's premiere property management and real estate purchase-sales agencies. In addition to having successfully resolved countless landlord-tenant disputes, Daniel manages rental property and assists in completing real estate transactions and is well known for his educational seminars and expert witness testimony. Daniel has also been successfully retained as a trusted expert witness in multiple cases and is available to assist your litigation case as an expert witness in court or as needed. He is a graduate of UC Berkeley School of Law, with specialization in landlord-tenant disputes, civil litigation, property management, and real estate sales.